Spin-off of the 2012 film 'Snow White and the Huntsman'. We are located many years before the apparent defeat of Snow White against evil Queen Ravenna. Strong hunters, Eric and Sara, trained by the Ice Queen, Freya, show their defiance to breach the only condition imposed by Freya: freeze their hearts to not feel love. After feeling betrayed again by her hunters, Freya will begin an arduous war against them. 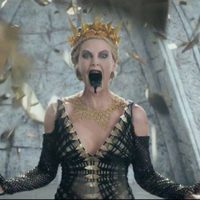 To do so, she send their warrios for search the magic mirror for resurrect her sister, the Queen Ravenna. 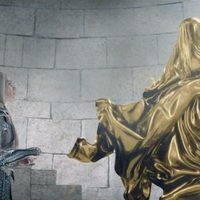 Both sisters will come together to create chaos in the kingdom and therefore warriors and hunters will have to unite to try to defeat the two sisters. Emily Blunt and Jessica Chastain join this new adventure story that this time will be without Kristen Stewart as Snow White. 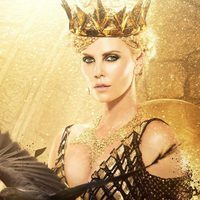 Write your own 'The Huntsman: Winter's War' review. Kristen Stewart will not be returning for the sequel to reprise her role as the character Snow White. Her character is reportedly not appearing in this installment. Universal Pictures had originally planned to do a "Snow White and the Huntsman 2", but had dropped Kristen Stewart from the sequel. It is speculated that it was due to her indiscretion with director Rupert Sanders. 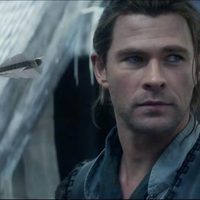 However, Universal's statement in Aug 2012 emphatically denied she was being dropped from the film [for the indiscretion] but they were exploring all options which later turned out to be the prequel 'The Huntsman' starring Chris Hemsworth. Universal's director short list for the project consists of Frank Darabont, Gavin O'Connor, and Andrés Muschietti. Darabont was eventually signed for the directorial duties for the project, but dropped out of the film. Darabont stayed on as a co-writer, he was later replaced by Cedric Nicolas-Troyan who worked on Blancanieves y la leyenda del cazador (2012) as visual effect supervisor and second unit director.